A special Illinois statute makes trespassing on state-supported land a criminal offense. What exactly does that mean? What can happen to you? You can be charged with a Class A Misdemeanor if you enter or stay on land supported by state or federal funds after receiving notice, either that you may not enter or that you must leave, if you are interfering with another’s lawful use or enjoyment of the property. Notice can be oral or written or can be conspicuously posted at the property’s main entrance. You might also violate this law if your entry to state property was based on false statements or documents. 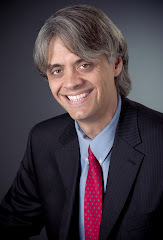 Illinois case law has interpreted “interfering with another’s lawful use or enjoyment” of the property to mean the "kind of conduct which by its nature tends to hinder, disrupt or obstruct the orderly function of the official enterprise being carried on in the building or on the land.” See People v Quiroga. A protest of hundreds of people outside the state capitol did not interfere with its orderly function or public access because the protest took place on a Sunday when the state house was closed and there was no damage to property. A University of Illinois student collected petition signatures in a school building lobby after having been asked to move from the school cafeteria. The Court held that the student’s activities was not interference. Likewise, in Quiroga, a parent collecting petition signatures on a playground seeking to remove a school principal was not interference. 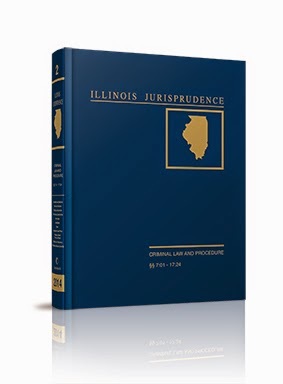 Effective January, 2015, the Illinois legislature added public right of ways to this offense. "Right of way" means the track or roadbed owned, leased, or operated by a rail carrier that is located on either side of its tracks and that is readily recognizable to a reasonable person as being rail road property or is reasonably identified as such by fencing or appropriate signs. Under this section, you must intend to compromise public safety by delaying the transit system more than 15 minutes or by destroying property. You must again have notice that your entry is forbidden or that you must leave. Violating this particular section is a Class A Misdemeanor for a first offense, and a Class 4 felony for subsequent offenses. If you are charged with criminal trespass or a similar offense, contact an experienced criminal law attorney immediately. As with most offenses, the state has the burden of proving each element of the crime beyond a reasonable doubt. Perhaps you did not receive the required notice or your conduct was not interfering with another’s use. Even if the evidence against you is overwhelming, an attorney who is respected in the courthouse may be able to obtain a more favorable plea agreement than you could on your own.